1. Hit an easy shot with a simple outcome. Don’t make any shot a big deal. Just get an idea, and hit the ball with no worries. 2. After you hit this one, don’t think about it, good or bad, and don’t think about the next one until you’ve arrived at the ball. Spend the meantime schmoozing with your buddies. 3. Add up your score when the round is over. While you’re playing, it’s not important. There was a time not too long ago that my driver was my go-to club. I felt as good about hitting it into a narrow fairway as I did standing over a 6-inch putt on a slow green. But because of my health issues I haven’t played that much in the last five years and and I lost that swing. So now I’m trying to simplify my swing to to make it easy to perform and easy to remember. Though I hit my irons okay, I hit one duck hook after another with my driver. The ball lands about 120 yards away then rolls into the left rough. You can’t play golf like that. I changed my grip. That didn’t help. I change my takeaway. That didn’t help. I worked on my turn to square up the clubface. That didn’t help. One of the things I had done to simplify my swing was to start the swing by pulling the club back with my right hand. I figured pulling something moves it more accurately than pushing it. So I pulled the club back with my right hand rather than pushing back with my left. That, it turned out, was the problem. It was in the takeaway, but I had been looking in the wrong place. Two days ago I decided to find out where in my swing my clubface was closing because that is what was causing those duck hooks. Every place I checked the clubface was closed. It got to the point where I saw my clubface had closed no more than two feet after it had been taken away from the ball. And then the solution hit me. By pulling the club away with my right hand I was not allowing the club to rotate open. I was closing the club face from the very start. Try it and you’ll see what I mean. So I tried doing the opposite and started the club back by gently pushing with my left hand. Problem solved. The club face remained square and I began hitting drives just like I used to. Straight, up in air, and while maybe not as far as before, the ball still got out there. I’m telling you this because sometimes it doesn’t take a wholesale change in your swing to correct the problem you’re having. If you just spend time investigating your swing in detail you can find out what the problem is. And if you don’t find it, keep looking. I have always recommended lessons, but much more often you can figure out what the problem is and find the solution yourself. 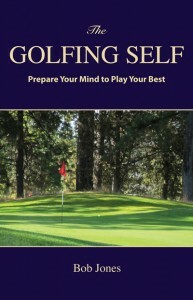 When your golf is based on knowledge that comes from you, that’s one step closer to owning your swing. 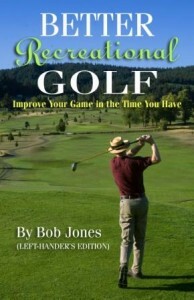 When golfers begin thinking that the purpose of the golf swing is to hit the golf ball, they have become an end-gainer. That means trying for a result directly rather than following the best way to achieve that result. For example, at the range you have just hit an unsatisfactory shot so you try a little tweak you think will let you hit a better shot, or at least avoid the bad one. But that doesn’t work so you try another tweak, and so on, leading yourself farther away from the desired end rather than closer. This is end-gaining. The end-gainer keeps doing what feels right, but which is functionally wrong, instead of doing what is functionally right, but which, because of lifelong habits, feels wrong. Even though we might know intellectually what we should be doing, the familiarity of habit forces us into the same mistakes again and again in spite of ourselves, or, more to the point, because of ourselves. In all those corrections you made to hit a better shot you might have thought you were doing something different, but you were most likely repeating variations of the same mistake. The solution to this problem is, first of all, to find out what is right. Then proceed from the beginning of a movement until just before the part that needs changing is reached. At that point, stop. Do not let a response occur that leads from there to the wrong feeling, and thus to the wrong movement. Do this many times, until the response to proceed incorrectly has disappeared. At that point you may now insert the correct movement and start teaching yourself the correct response, which has a new feeling that you must learn to be comfortable with. The insidious habit of end-gaining is what makes golf difficult, and prevents golfers from improving. Whenever your shotmaking, whether drive or putt or in between, is not satisfactory, end-gaining is most likely the cause. 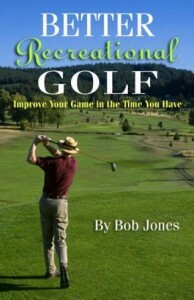 If you start poking around on the Internet, you can find fascinating articles about golf that are not written by golf experts like me, or teaching pros who do the best they can. I mean articles published in academic journals investigating golf to find out what is really true and what is just inherited wisdom. You might have some fun with this list of articles. I do. These papers are written in a standard format. I suggest you read the abstract, introduction, discussion, conclusion, and that you browse the references to find articles that might interest you on this subject. The section on methodology is of no concern unless you want to evaluate the study or reproduce it, and the analysis can be quite technical. Is Tiger Woods Loss Averse? Start poking round yourself. Go here and enter keywords that interest you. You will be amazed at what you find.